A landscape of frozen darkness punctuated by grim, gray days. The feeling like a buzz in your teeth. The scrape of bone on bone. . .
Paul Gallo (a college professor) watches a news report of a mass murderer in Dread’s Hand, Alaska. Joe Mallory decapitates eight people and buries their bodies. He confesses to the murders and tells the police where to find the bodies. Dread’s Hand is an old mining town that is cut off from the world. Paul’s twin brother, Danny, went missing around Dread’s Hand a year ago. Paul heads to Dread’s Hand to get closure. The townsfolk think there is something in the woods, but they don’t talk about it. Is it a local legend, or is there something more sinister at play? There is more to Dread’s Hand than meets the eye. The citizens of Dread’s Hand stay to themselves. Paul is an outsider, and they don’t take too kindly to outsiders. Paul persists. Paul will stop at nothing to find his twin brother. I will stop there because I don’t want to give anything away. 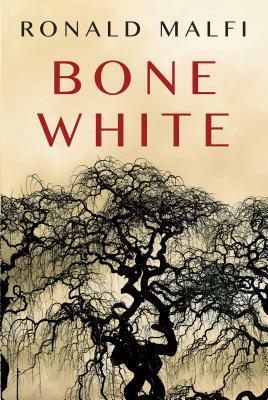 Bone White starts off with a bang! The story unfolds smoothly and the ending is superb! As I read this book I got that uncanny feeling like I was being watched. Bone White creeped me out. Make sure you read this one with the lights on! Paul Gallo saw the report on the news: a mass murderer leading police to his victims’ graves, in remote Dread’s Hand, Alaska. It’s not even a town; more like the bad memory of a town. The same bit of wilderness where his twin brother went missing a year ago. As the bodies are exhumed, Paul travels to Alaska to get closure and put his grief to rest. But the mystery is only beginning. What Paul finds are superstitious locals who talk of the devil stealing souls, and a line of wooden crosses to keep what’s in the woods from coming out. He finds no closure because no one can explain exactly what happened to Danny. And the more he searches for answers, the more he finds himself becoming part of the mystery. 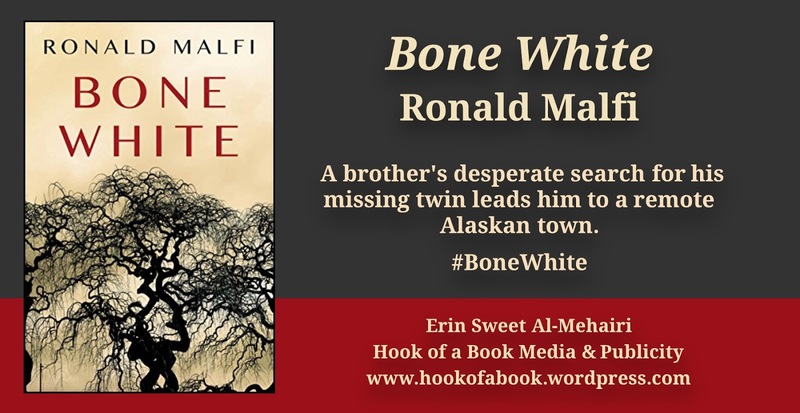 If you are a blogger, author, or member of the media and you would like to feature Bone White or Ronald Malfi in a review or interview, please contact Erin Al-Mehairi, publicist, at hookofabook@hotmail.com. Thanks!